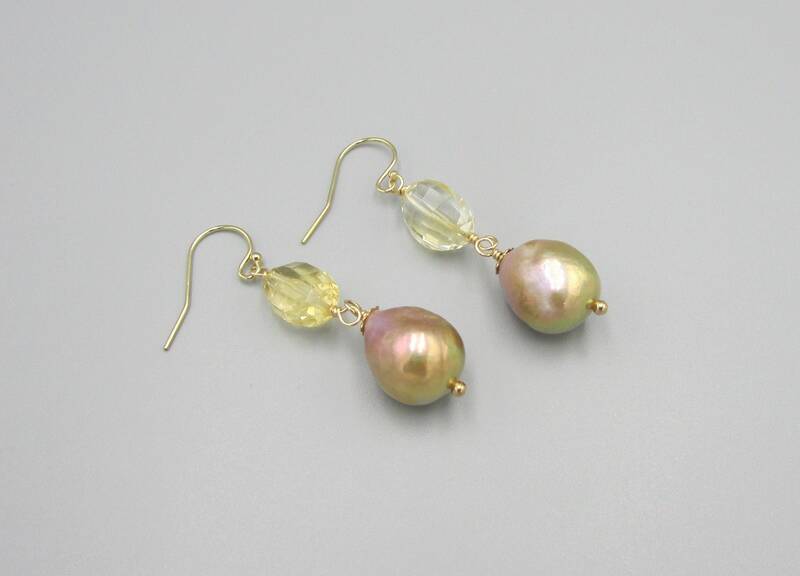 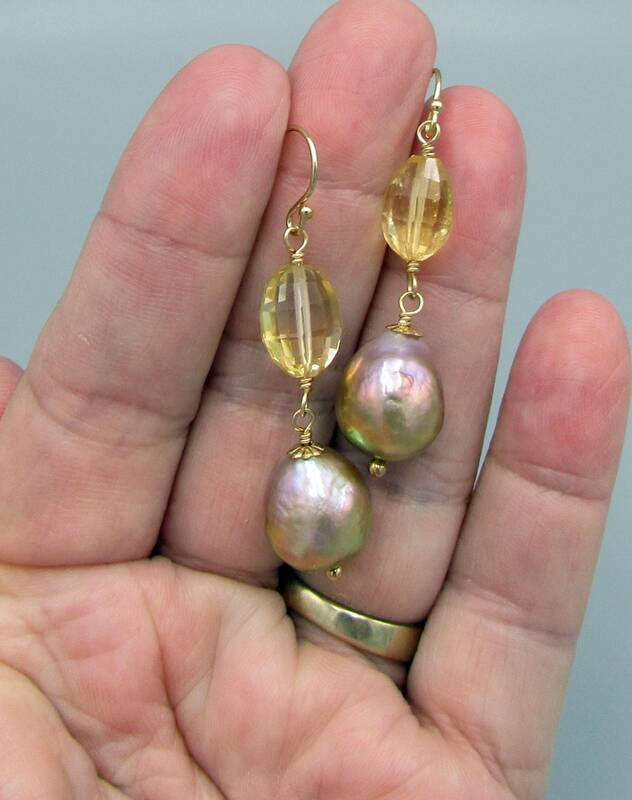 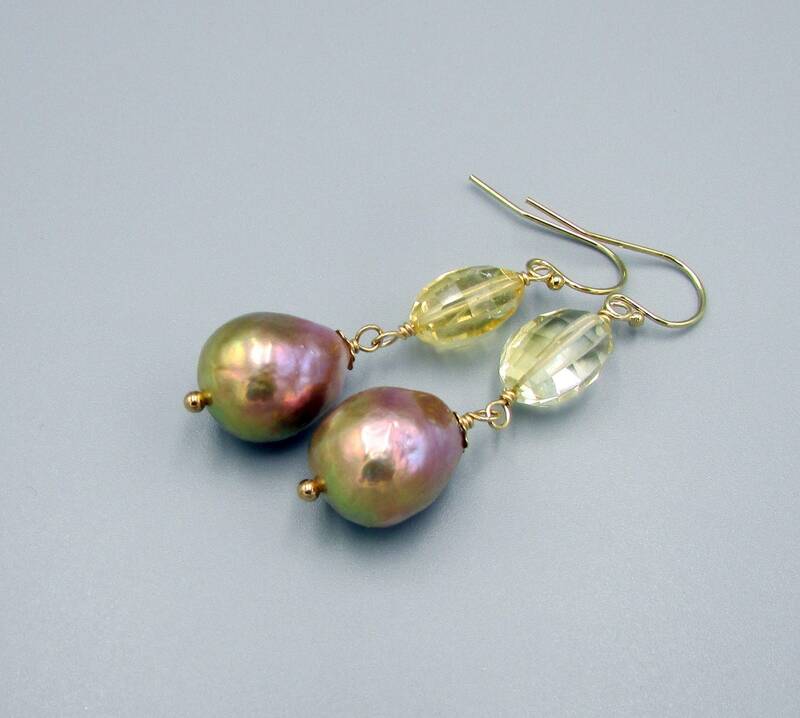 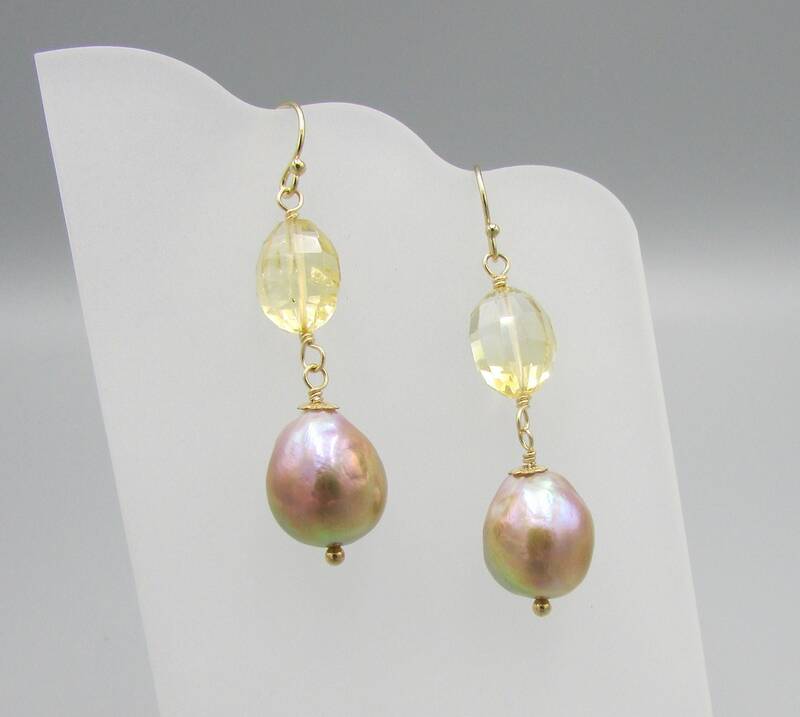 These stunning earrings are made with a bronze pink 10x14 mm baroque freshwater pearl and an oval faceted citrine gemstone. 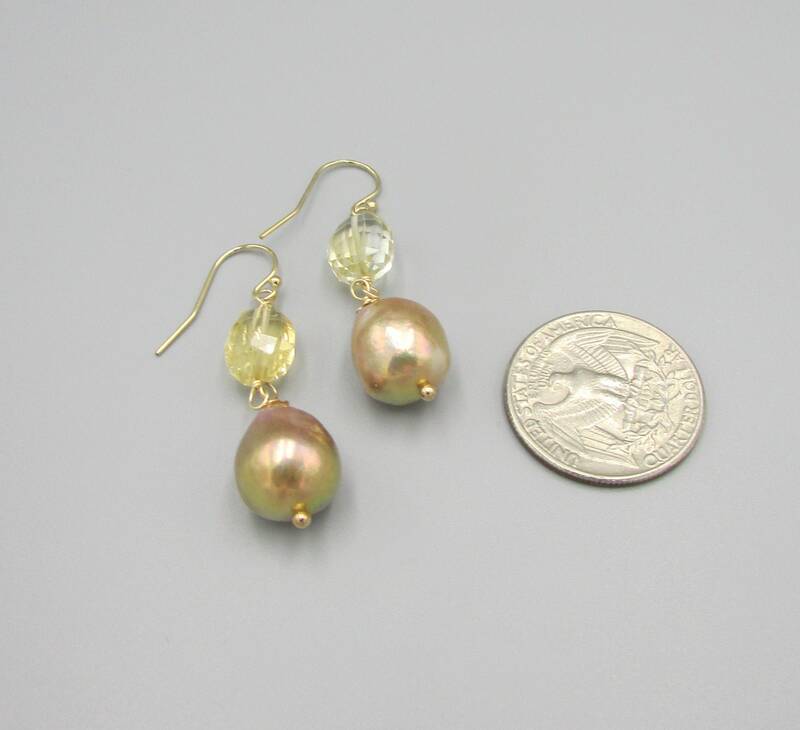 Wire wrapped in 14kt gold filled wire, gold filled bead caps and gold filled ball head pins. 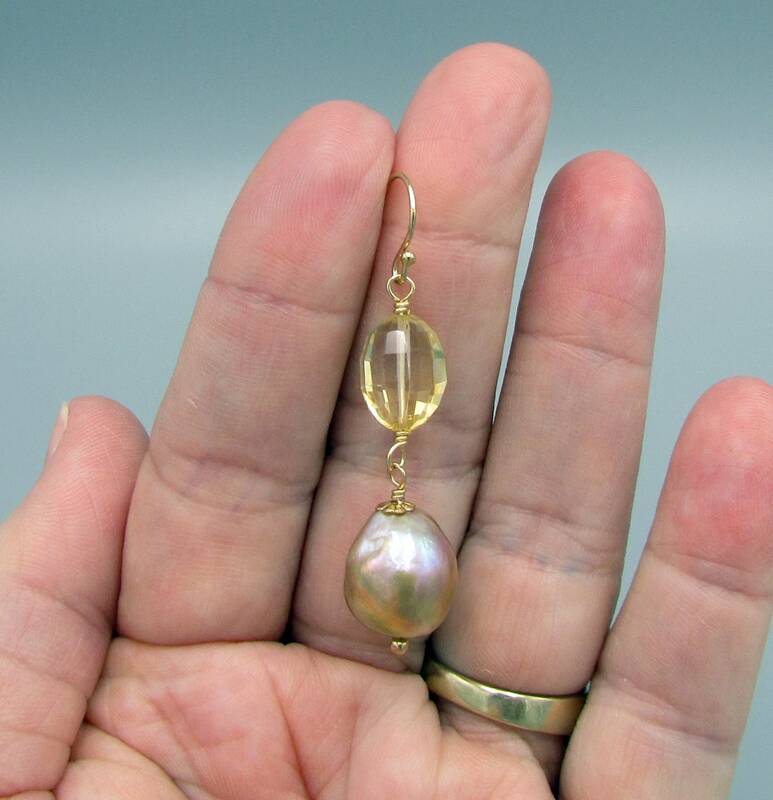 Finished with 14kt gold filled ear wires. 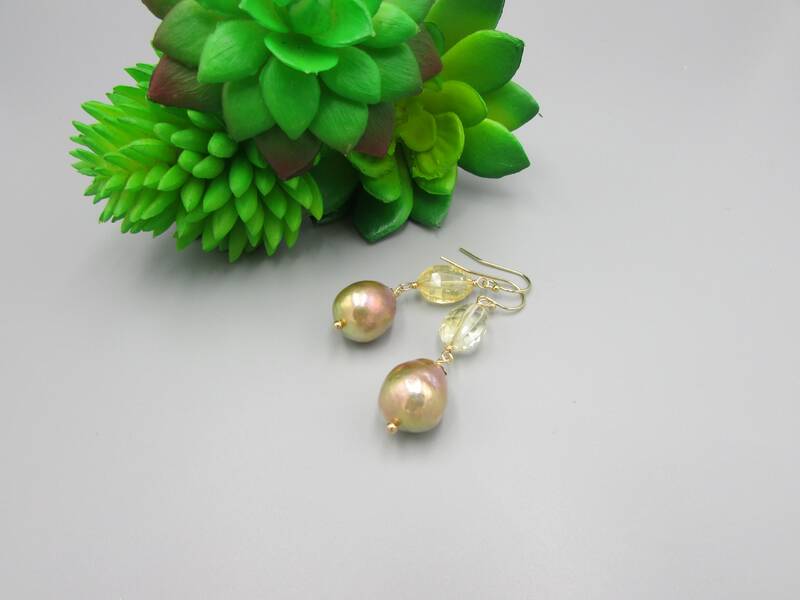 The pearl has a beautiful shine and luster.